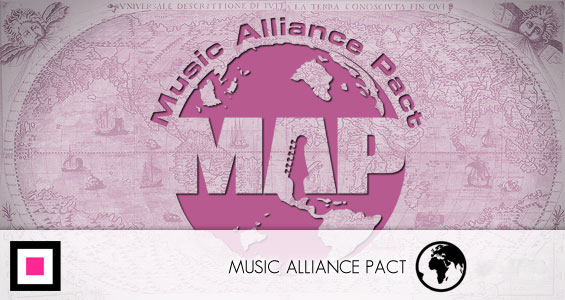 Ακόμα μία συλλογή του Music Alliance Pact με σύντομες πληροφορίες για όσα ξεχώρισαν 24 συστηματικοί ακροατές μουσικής από την σκηνή της χώρας που διαμένουν. Αποκτήστέ την στο σύνολό της πατώντας εδώ ή μεμονωμένα στον τίτλο του κάθε τραγουδιού. Drawing influence from sun, sea, urban life and relationships, Pete Sun's sublime third EP, Phantom Express, contains three shimmering lo-fi, romantic dream-pop songs to hold close to your heart. With his simple, poetic, yet sensitive lyrics and an intimate voice that's as if he's whispering a secret into your ear, Pete Sun creates a beautiful scenery to lose yourself in. In the past weeks we've been listening to Denso y Moderno, the first album by Los Tiros, in a non-stop loop. This band from Quilmes, a city in Greater Buenos Aires, delivers a pop-rock sound with lots of synthesizers and optimistic lyrics. The album has 11 tracks, all potential hits, and Autocontrol is one of them. Cast Of Lines is the new 12" by Melbourne's A Dead Forest Index. Released recently through Pop Noire (the label run by Savages' Jehnny Beth), title track Cast Of Lines is an expansive, meditative piece - a precursor for the band's unique sound palette which has been praised abroad. 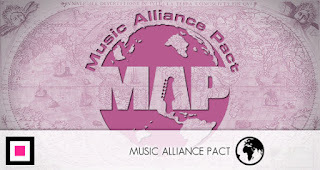 TMPL are a relatively new electro-pop duo from Toronto made up of Kevin O'Brien and singer-songwriter Eli Andreas. By new, I mean they have this one song out called Voyij that takes you on an expansive journey of sounds that gets more exciting at every corner. They chose the right name to express their no-limits energy and rage. Histéricos is a four-piece rock band that always trusts in a good melody and have some clever things to say. At the end of 2013 they released their debut album Misplaced, Displaced (Algo Records) and here we present the title track dedicated to "the ones who get it wrong. The losers, the outsiders. To those who suffered loss and regret. To those who question why", as they write in their manifesto. The life of the Colombian capital is reflected by the Jamaican music, mainly ska, that Los Elefantes have made ​​for more than 18 years. Feeling independence as a way of life, they are releasing their fourth album, Grandes Exitos de Otros, from which we present the song Yo Soy Un Gigoló, a classic version of Just A Gigolo/I Ain't Got Nobody, with the lyrics touched by irony. Released a few months back, Blaue Blume's official EP debut, Beau & Lorette, is bold, ambitious and almost always compelling, not least thanks to mighty songs like Lost Sons Of Boys and MAP exclusive download In Disco Lights. TipiHop Project's mission is to blend Dominican native genres with modern electronic and hip-hop rhythms. Anyone who's had the opportunity to dance a fast-paced merengue would argue that is nearly impossible to slow it down, but the guys behind TipiHop found a way in Suéltame Que Bailo Solo, the instrumental opener of their first album. The namesake LP has been brewing for almost three years, but now they're ready to show their musical richness. Formed earlier in the year, Cats Of Transnistria is an exciting blend of dream-pop vocals and fuzzy, psyched guitar and keys by the duo of Henna Emilia Hietamäki and Tuomas Alatalo. The band has just released its first recording produced by Black Lizard's guitarist/vocalist Paltsa-Kai Salama. From Paris' indie electronic scene, Andrea plays beats like a surgeon - meticulously. More To Me is the perfect song to chill out to in bed on a Sunday morning. Andrea is also the kind of crazy guy who has a project to produce a sample each day during a month - take a listen to Day 4, which samples Sam Smith. After a long musical journey, young Bayu Andrianto's decision to put reverb on vocals and guitar resulted in raw, space-rock songs. They have been talked about amongst music enthusiasts in Indonesia for the past few months, with hotly-anticipated performances and an album to look forward to. Blooms' euphoric yet mellow style of ambient electronica is the brainchild of Louise Cunnane, an Irish woman based in London. The If EP features toned-down flow, soaring soundscapes and stunning vocals, recalling the 5am bliss-out at the end of a manic beach party. If I, the free-to-download EP's standout track, builds on subtle R&B influences to create a memorable early effort. Cunnane's delicate potential is abundant and beautiful. TroffaHamra (Ruth Abela) is a Maltese singer-songwriter who went travelling to Barcelona in 2010 and ended up staying there. Not much later she formed her band TroffaHamra y Los Mechones, in which she sings and plays guitar, together with four Catalan musicians. Together, and due to their different musical backgrounds, they created an original sound. TroffaHamra's songwriting is fresh and sincere, and influenced by life experiences and strong emotions. The style of the band sways between swing, bossa nova, folk and Western ska - a mixture of sounds, languages and moods. He may not be the king of Babylon, but he could well take the throne of Mexican electronica. He may not be named after Morpheus' rebellion ship in The Matrix, but his music will surely take you on a trip through a decadent post-industrial underworld. Hailing from Veracruz in the Gulf of Mexico, Navukodonozorg unleashes a work full of dirty bass, complex rhythms and nonsense melodies. Take the 'red pill' and submerge in this fabulous futuristic wonderland. Catervas is one of Peru's most beloved and essential bands. Their long career, embodied in three albums, has contributed some great indie rock with melodies full of excitement and inspiration. This year the band will release their fourth album; Atemporal is its first single, a nostalgic song that honors the classic sound of Catervas. fAi is a new project from producer/composer Hector "Stonetape" Hernández and singer Beatriz Faísca. They recently released their first single, the catchy and sweet I Thought The World, a generous slice of perfect summer indie-pop that promises great things from the duo. Stonetape continues to demonstrate his studio chops throughout the song, achieving a confident and measured production, while Beatriz truly surprises with a voice equally mature and flirtatious. The Boy Who Cried Wolf - It's Just A Rebel, Sir! No matter how much you think you're ready for it, the song Foreignfox introduced themselves to the world with, Yoghurt, still knocks you sideways. The raw, stomach-knotting emotion of Jonny Watt's struggle to come to terms with his father's cancer diagnosis is unravelled in lyrics of rare candour, backed with some sweeping guitar work and a suitably tear-inducing promo video. Foreignfox's debut EP, We Float Like Sinking Ships, is available on Bandcamp. Cumbres Carrascosa is the side-project of Miguel Cámara, from The Fruhstucks, and one of the nation's breakthrough artists of 2014. His music is a blend of psychedelia and the-darkest-chillwave-ever, as you can tell by listening to Minimum Sacrifice, a mesmerizing yet unsettling tune. Brooklyn's Conveyor has recently released a fascinating double LP where they reimagine the score for the cult film THX 1138. These expansive soundscapes creep into your brain and create the most perfect moments of sonic serenity.